The year-on-year inflation recorded 9.3 percent in March 2019, up by 0.1 percentage point from the 9.2 percent recorded in February 2019. 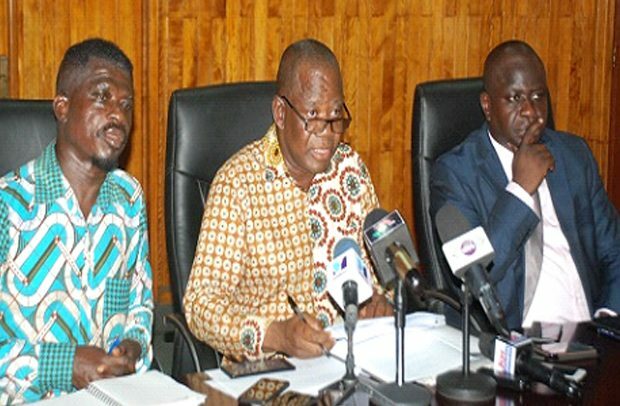 According to the Ghana Statistical Service (GSS), which made this known to the media, the monthly change rate for March 2019 was 1.2 percent compared with the 1.0 percent recorded for April 2019. David Kombat, Deputy Government Statistician, who addressed the media, said the food and non-alcoholic beverages group recorded a year-on-year inflation rate of 8.4 percent. Mr. Kombat revealed that the non-food group recorded a year-on-year inflation rate of 9.7 percent in March 2019, same as the rate recorded for February 2019. Four subgroups recorded year-on-year inflation rates higher than the group’s average rate of 9.7 percent. Recreation and culture recorded the highest inflation rate of 14.1 percent, followed by Transport with 13.7 percent, Clothing and footwear (13.3%) and Furnishings, household equipment and routine maintenance with 12.2 percent. Inflation was low in the Housing, Water, Electricity, Gas and Others Fuels subgroup (2.1%). At the regional level, he said the year-on-year inflation rate ranged from 7.9 percent in Upper East Region to 11.5 percent in Upper West Region. Four regions (Upper West, Brong Ahafo, Western and Ashanti) recorded inflation rates above the national average and Volta Region recorded the same inflation rate as the national average of 9.3 percent.